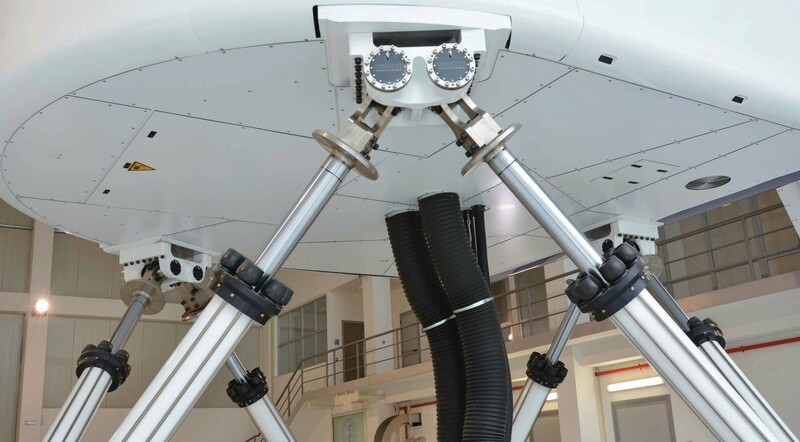 ACE Dampers And Safety Bumpers Absorb Forces In Motion Simulators – ACE Controls Inc.
E2M Technologies specializes in designing and manufacturing electric motion technology for industries requiring complex simulation, such as flight and ground vehicle simulation. 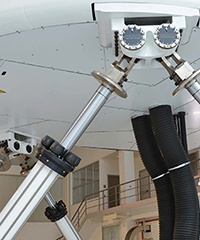 Because the size, weight and speed parameters vary depending on the application, simulator construction is a complex process: not only do the loads differ, but movement profiles often occur simultaneously in the X, Y and Z axes. E2M engineers needed a way to absorb these forces and avoid structural damage in the event of an emergency stop. Here’s how the company found a solution in profile dampers and safety bumpers from ACE Controls. Because E2M’s motion systems need to be able to support several tons, ACE engineers recommended a combination of two products-profile dampers and safety bumpers from the TUBUS TA and TC families, respectively. TUBUS TA profile dampers provide high energy absorption up to 73% between 2 and 2,951 Nm. Made out of copolyester elastomer, these compact components provide consistent damping in a variety of applications. TUBUS TC safety bumpers, also made of copolyester elastomer, were developed for crane systems and meet OSHA and CMAA international industry standards. As such, these rugged components provide high energy absorption up to 64% between 450 and 17,810 Nm-even in emergency stop situations.